‘And Poseidon, receiving for his lot the island of Atlantis, begat children by a mortal woman, and settled them in a part of the island, which I will describe. 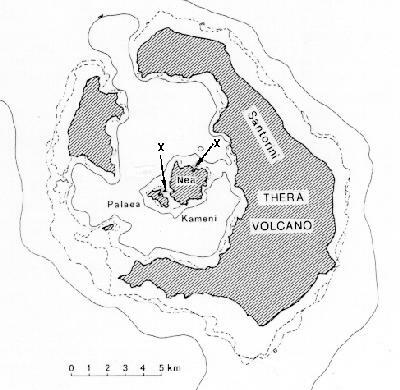 Compare with a reconstructed map of Thera before the volcanic eruption 1500 BCE. You can see the outlines of the land that sat above the sea level. The following passage confirms the structure of the island, which is evidenced by the famous Akrotiri wall friezed. ‘First of all they bridged over the zones of sea which surrounded the ancient metropolis, making a road to and from the royal palace. Stone of white, black and red all natural rocks found on Santorini. Such attention to detail has to come from somewhere, right? 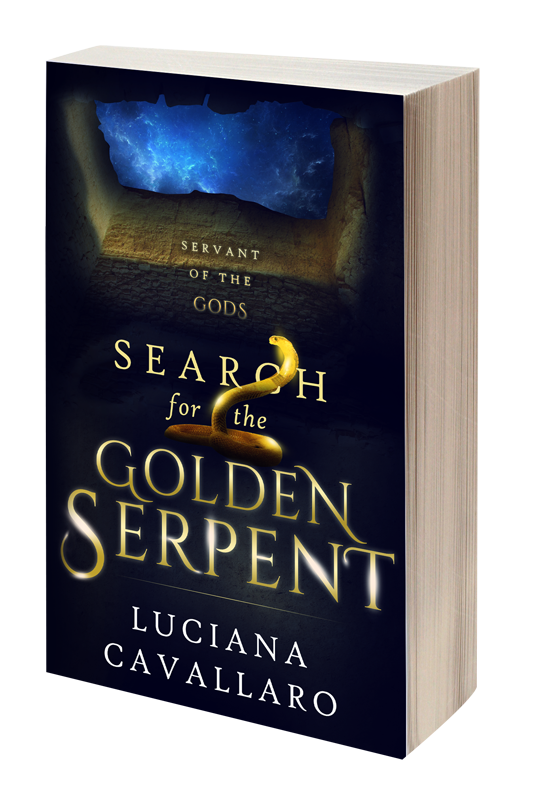 The article entitled, “The Ties that Bind” was posted on ETERNAL ATLANTIC on MARCH 13, 2015 by Luciana Cavallaro. This is a continuation of a series that explores the mystery of Atlantis. Thank you so much Linnea for reblogging my article 😀 You are wonderful. As you bring out more and more details, the contours of the fabled island seem to be gaining in clarity. Will all the ties that bind build up to establishing the present day Santorini with a degree of finality, ruling out other possibilities? best wishes…Raj. I am trying to think ahead and figure out if you will lead us to a conclusion that Santorini was once Atlantis. There is much to understand here. The discussion of the stones is interesting! I have read some of Plato’s dialogues but not all. There is much to learn and you help us do so in a clear way, which I appreciate! What a lovely compliment, thank you Christy. Excellent post cara Luciana… You have pointed out plausible hypothesis and as I read your post I tend to believe (this I still don’t conclude it) that Atlantis might have been placed in Santorini. You have summed it up beautifully. I also believe Plato was basing his ideal society on the Minoan civilisation. There are too many coincidental factors between Atlantis and the Minoans. Last time I was in Santorini, my hotel balcony faced the Caldera. As I gazed at the view while sipping my morning coffee, it occurred to me that it is at least possible that the giant, water-filled hole I was staring at could possibly contain the lost city of Atlantis beneath its depths. Since it has been confirmed that there was a massive volcanic eruption around the time of the Minoan Civilization, the possibility that there is a lost city somewhere in Greece shouldn’t be discounted. It is a beautiful island. I agree, though there wouldn’t be much left of the remains of what was on the volcanic island. I do believe Akrotiri are the remains of what was a part of “Atlantis”. Bella, once again you have written an amazing post. It’s a wonderful exploration of Santorini. The details you describe are quite interesting. There are certainly a number of clues to be found in Plato’s story that points to the destructive Minoan eruption on Santorini as the most likely candidate for being the historic fact behind the story of Atlantis. I look forward to reading further exploration of this mysterious legend. I slept through a new documentary on Atlantis the other night, one that discussed the possible location is in Spain. It wasn’t the program that sent me to sleep mind! Compelling arguments made but am keeping open minded as to the location of Atlantis. I love your series on the various theories as to where the lost civilization of Atlantis may have been located. 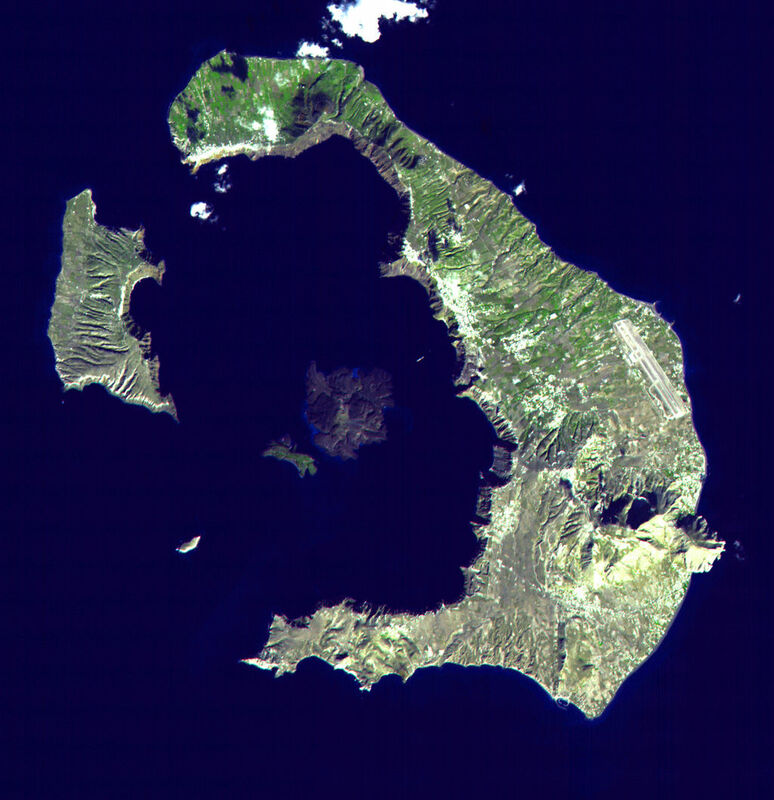 It seems most likely Atlantis was located around the Santorini region that was destroyed during the catastrophic volcanic eruption about 1500 BC. This marks the beginning of the destruction of several other advanced ancient civilizations in Crete and Egypt by 1000 BC either through natural calamities or invasions. It makes sense the Greeks would refer back to Golden Age of Atlantis to relate to their own advancing society in Greece. You’ve done a great job on researching the theories regarding Atlantis. Have a great week! Thank you! You are quite right with regards to other advanced civilisations of the time affected by the volcanic eruption of 1500 BC. It plunged the world into the first of many dark ages. I am currently watching a series on ancient Greek during the Golden Age, and it is possible Plato was discussing the rise of Athens during that period and perhaps a warning of hubris. But I still believe he based his theories on an advanced ancient culture and drawing parallels with what happened to that civilisation and that of Athens. I may be wrong though!